Affordable and offering the convenience of using them in different rooms, floor cushions are a gorgeous seating option for short-on-space apartments. 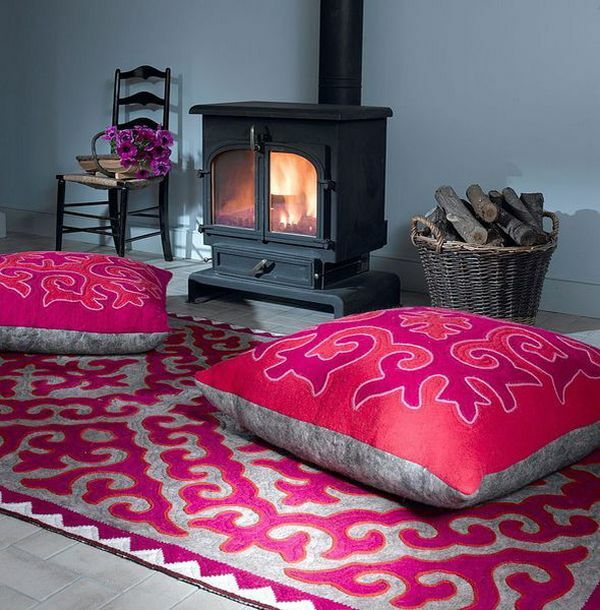 When it comes to accessories, floor cushions and pillows are often overlooked. However, these convenient additions can make a difference in the overall look and feel of any space. Furthermore, as throw pillows are often used to add color, interest, and texture, matching floor pillows are a great way to complete any space with a hint of extra color and drama. 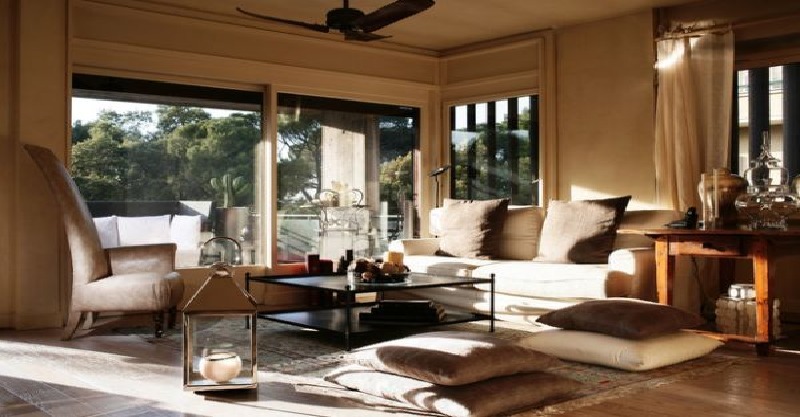 Not to mention that present an appealing way to incorporate extra seating practically in any space. In addition, when not in use, floor pillows can be stashed away. Available in an array of colors, shapes, sizes, and patterns, from artistic to eclectic and modern to minimal, floor pillows are definitely a gorgeous décor option. Look at the enchanting space in the above-shown picture! 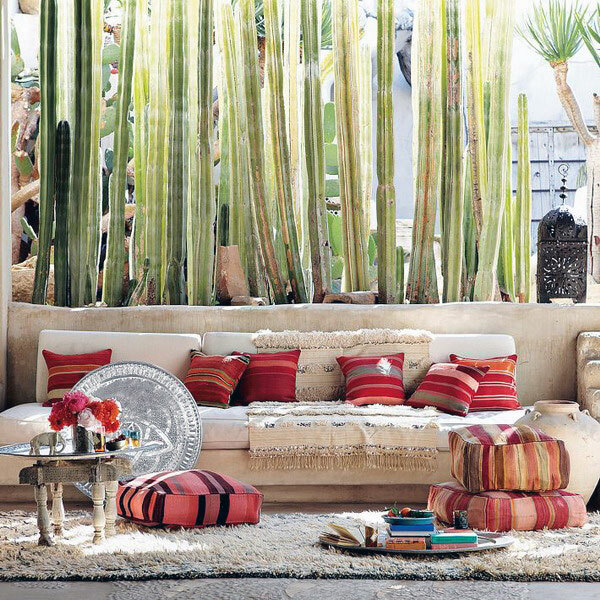 Throw and floor pillows add so much color, texture, coziness, and ethnic touches, don’t you agree? 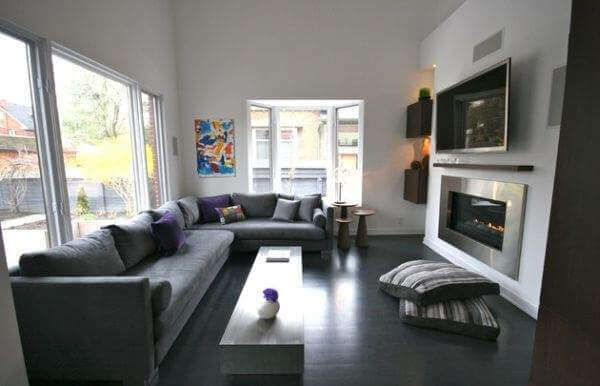 Ottomans and other seating options coupled with the couch usually take up loads of room, even when not in use. Plus, they tend to stick around as ‘permanent fixtures’. In this regard, floor pillows offer the perfect alternative. In the above-shown elegant family room with perfectly used accent colors, matching throw and floor pillows add to the appeal of the space. Just add a bunch of these delights when you need additional seating and simply hide them away when they are not in use, all the more, most of the designs can be stacked and tucked away with ease. Even for those with large living rooms, the visual effect of elegantly spread floor cushions brings a relaxed, soothing vibe. As contemporary homes tend to employ neutral or muted colors, this has led to an increased interest in the use of accent colors. A dash of color here and there makes any space far more exciting. Floor pillows often bring in the same effect. Available in a multitude of patterns, prints, tufted versions and trendy hues, floor cushions can instantly enliven any space. Even if you choose floor pillows in cool white or simple gray, they never seem to look out of place and add to your room’s existing theme and style. 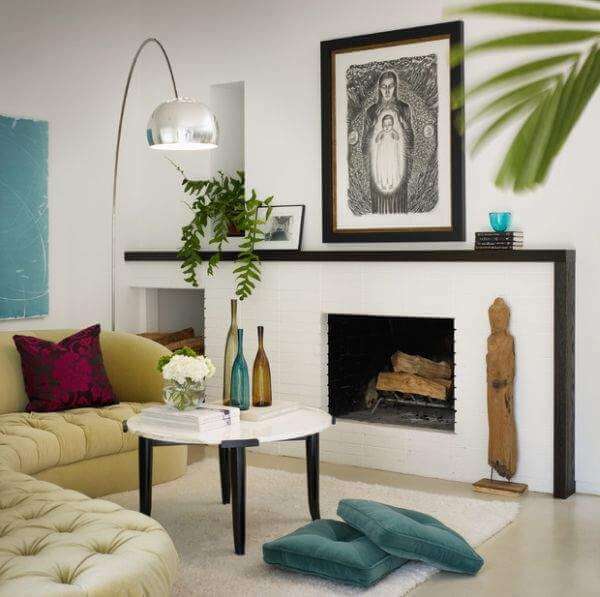 In the above-shown living room, floor pillows complemented by a stunning floor lamp, a piece of art, and coffee table décor add tons of visual interest, personality, and touches of whimsy. In the space shown above, floor pillows repeating the motif of the area rug add extra color, warmth, and coziness. Floor pillows and cushions combine comfort and class. 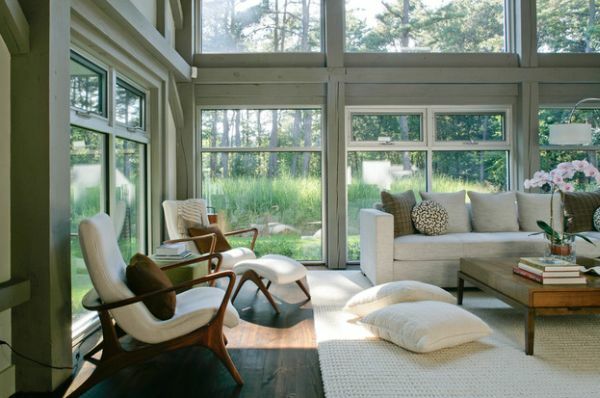 This is exactly why they seem to bring in plenty of playfulness even while preserving the elegance of the space. You can alter colors and change patterns to keep up with the design trends. In addition, both floor cushions and throw pillows are a solution to try new accent colors. When it comes to functionality and convenience, few décor items match floor pillow. Bringing texture and geometric contrast, floor pillows definitely are a must for a complete modern home.